Mount the two bells onto the bolts through the hole in the centre of the bell. 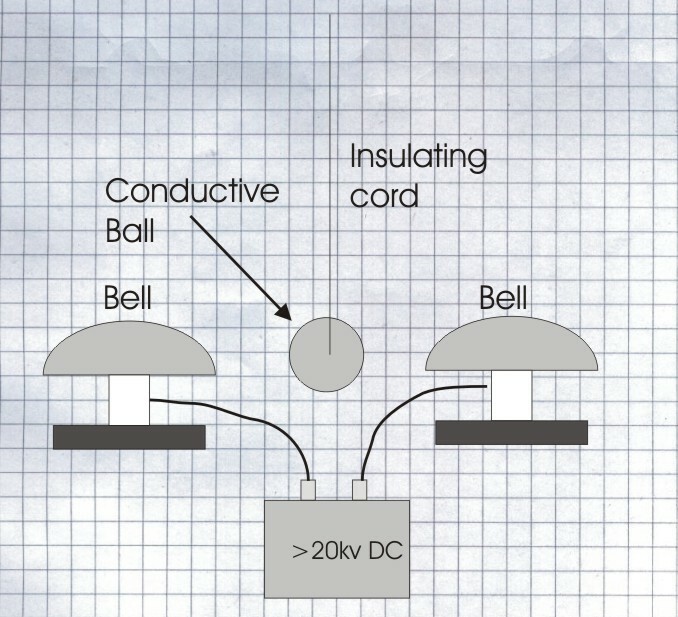 Mount the two bells on a non-conductive surface. Mount the ball on the string so the ball sits between the two bells. Adjust the two bells so the edges are 10mm away from the outside of the ball on each side. 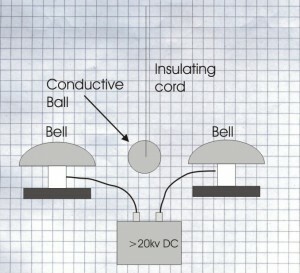 Apply high voltage across the two bells. A similar setup to above, but uses a short track of PVC pipe with the ball running on top rather than a pendulum. Supply is a TV flyback transformer giving around 25Kv.